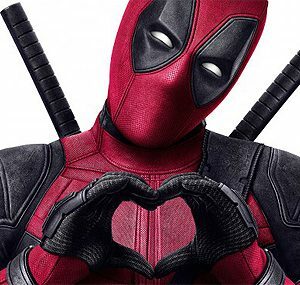 TDS TV on Demand brings you an eclectic collection of films, including the latest Marvel superhero smash hit—the decidedly offbeat “Deadpool.” On the tube, many shows are wrapping up the season, so check your local listings to make sure you don’t miss any of your favorites. Ryan Reynolds stars as a solder who develops super powers after be subjected to a rogue experiment. 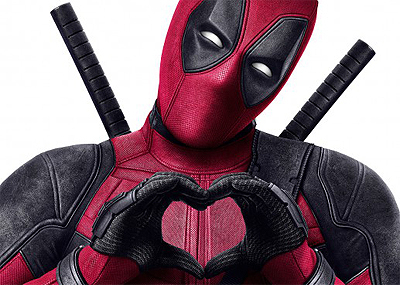 What follows is one of the funniest, foulest and most inventive super hero films every made. Available May 10. In a remote English village, a woman is hired to be a nanny for a young boy—only to find the boy is actually a life-sized doll. Weird? Yes. But once the woman begins to believe the doll is alive, things really get creepy. Available May 10. Outstanding film about five Turkish sisters growing up in a conservative household. There are dollops of heartbreak, tears, laughs and outrage in equal measure as the girls are one-by-one forced into marriages by their family. In Turkish with English subtitles. Available May 10. Progressive filmmaker Michael Moore travels around the world looking at how other nations handle the social and economic problems that we are experiencing in the United States. Fans of Moore’s work should enjoy his latest film, which is often funny as well as thought provoking. Available May 10. Funny, funny movie about mermaid sent to assassinate a corporate executive who’s company threatens her underwater world. If that sounds bizarre, you’re not wrong. “The Mermaid” is a strange blend of romance, slapstick comedy and social satire that is just too weird not to enjoy. Available May 17. 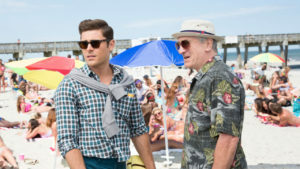 Robert De Niro stars as a lecherous old man who tricks his grandson (Zac Efron) into going to Florida for spring break. The film is pretty much what you would expect – silly, childish and loaded with toilet and sexual humor. Shakespeare it ain’t, but if you’re in the mood for some dumb fun, it might be up your alley. Available May 17. It’s only been 26 years, so a sequel to “Kindergarten Cop” would seem like a natural thing. Alas, Schwartzenegger isn’t available, so what do you do? Get Arnold wannabe Dolph Lundgren instead! Problem solved. The film is utterly predictable, but not without its charms. Kids will especially enjoy the silliness. Kudos to Lundren, who has a decent comic sense and isn’t afraid to make fun of himself. Available May 17. Subtitled “A New England Folktale,” “The Witch” is one of the most chilling and unnerving films of recent years. Set in the 1600s in New England, the film follows a banished Puritan family haunted by a witch who inhabits the nearby forest. The films is loaded with chills, atmosphere and dread – perfect fare for any horror movie buff. Available May 17. The former SNL funnyman stars in this competition featuring the best amateur impressionists from around the globe. Freddie Prinze Jr. will serve as host. Expect lots of celebrity guests. Debuts Tuesday, May 10, USA. Chelsea Handler is back with a new half-hour talk show. “Chelsea” will be on the airwaves three nights a week (Wednesday, Thursday, Friday). Handler’s comedic gabfest debuts on Wednesday, May 11, on Netflix. The top sitcom in the nation just keeps going strong. For nine years, “The Big Bang Theory” has managed to be consistently funny and fresh—not an easy task. Check out the show’s season finale, which includes guest appearances by Judd Hirsch and Laurie Metcalfe. Thursday, May 12. 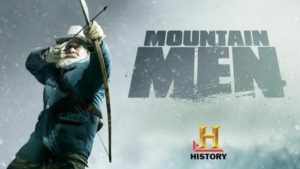 History Channel’s reality show “Mountain Men” follows a variety of rugged men who live on the edge of civilization. From the wilds of Alaska to the mountains of North Carolina, the series is an engrossing journey into a different world. Season five premieres on Thursday, May 12, on the History Channel. The wonderful Billy Gardell and Melissa McCarthy wrap up their six-year run with a final one-hour episode. While nothing terribly original, “Mike & Molly” had a sweetness that made it one of the most watchable sitcoms on the air waves. Enjoy the series finale on Tuesday, May 17, on CBS. Dominic Cooper stars in this comic book adaptation about a preacher with mysterious powers who, literally, goes on a journey (along with his best friend, an Irish vampire) to find God. The show offers a unique (and twisted) blend of the western and supernatural genres. Premieres on Sunday, May 22, on AMC. 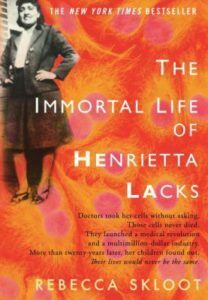 Oprah Winfrey is set to star in an adaptation of the award-winning “The Immortal Life of Henrietta Lacks” for HBO. Netflix will continue mining the Marvel universe with an adaptation of “The Punisher.” It will be the sixth Marvel property adapted for the small screen by the streaming giant. John Krasinski will star in Amazon’s new Jack Ryan TV series. Ryan is the hero is series of novels from the late Tom Clancy, and has been played by a variety of film stars on the big screen, including Harrison Ford, Alec Baldwin, Chris Pine and Ben Affleck. CBS will begin filming the new “Star Trek” series this fall in Toronto. The reboot of the beloved sci-fi show will debut on CBS All Access in January 2017. Actress Sara Ramirez, who plays Dr. Callie Torres on “Grey’s Anatomy” for more than a decade, is reportedly exiting the show at the end of this season. ABC is reviving the classic game show “Match Game” with Alec Baldwin as host. Dirty Grandpa: Lions Gate Entertainment Inc.